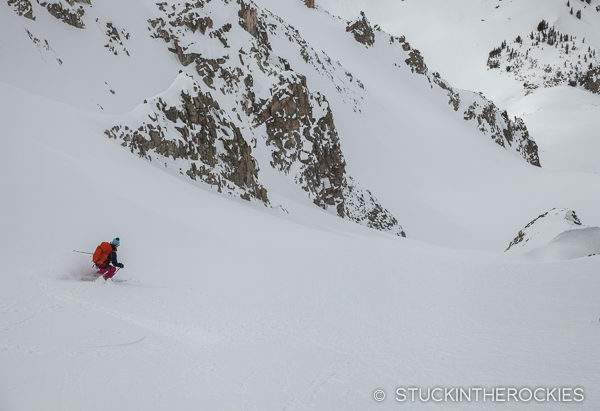 The second descent of the day, a couloir that brings you over from Taylor Basin back to the Cooper Creek drainage. 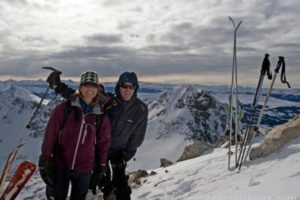 We joined friends at the Lindley Hut last week and did a cool tour on and around nearby Star Peak. I’ve always considered April to be prime time for the Braun Huts. 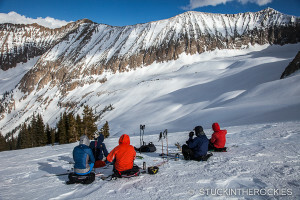 The snowpack is deep, the stability good, and the abundant north facing options in the area hold winter powder even when it feels unseasonably hot back down in Aspen. 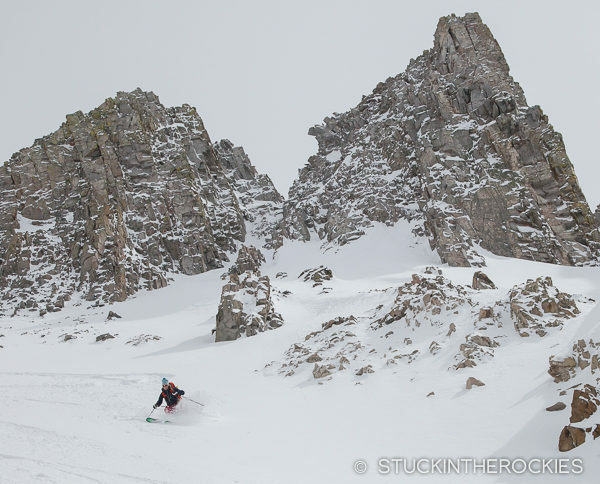 The skiing is almost always really good. After a fun night at the fully booked (14 friends) hut, the larger group continued on to nearby Opa’s Hut the following morning. Christy and I parted from the group and headed out on our own little day tour. Heading high into the basin. Castle Peak is in the background. We switched to crampons to complete the final stretch of ridge. 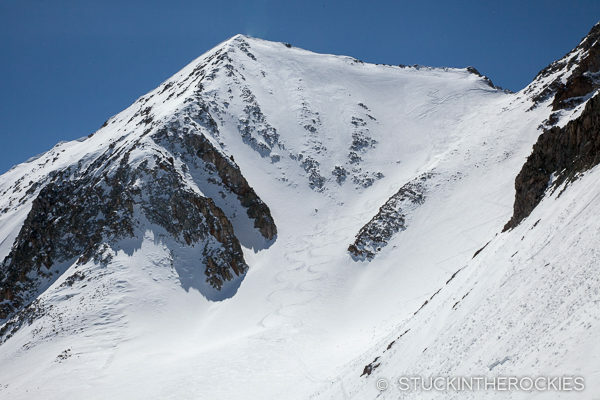 The tour started by heading up into Cooper Basin, reaching a small notch on the North Ridge of Star Peak. 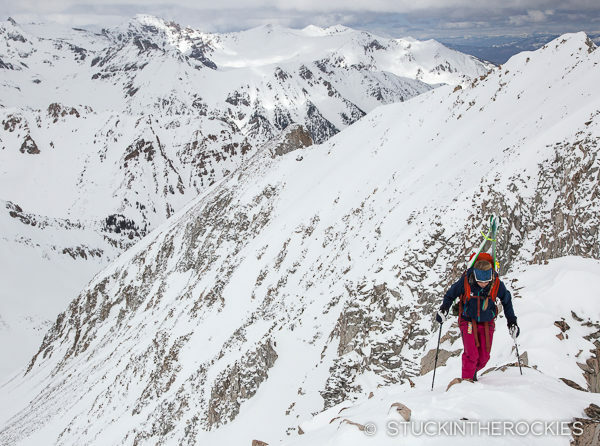 From there we donned crampons for the final stretch of ridge to the 13,521 foot summit and took in the views. We could see Star Pass, the highpoint of the Grand Traverse, which we participated in weekend before. It was cool to see it in daylight, during the race we moved through that section in the wee hours of the night. Star Peak’s North Face. 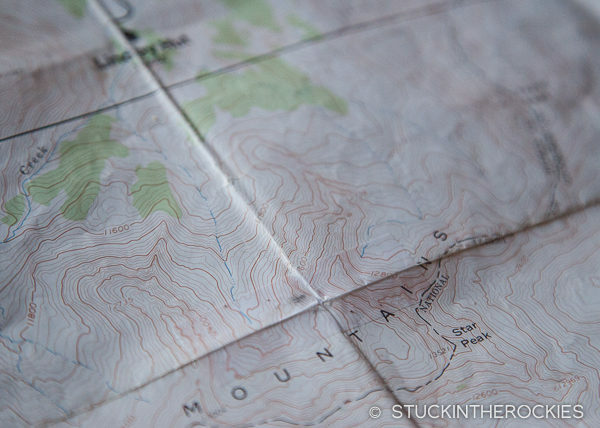 We accessed it from the notch to the right of the summit, from the valley on the other side. 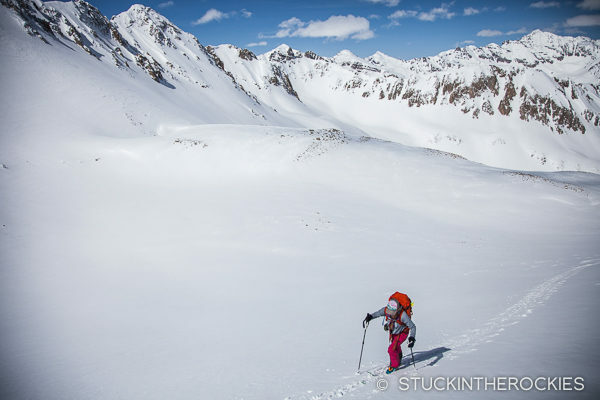 After reaching Star’s summit we clicked into our skis and began skiing the round-about trip back to the hut. 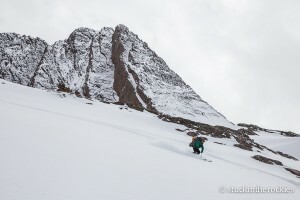 The route gave us three ski descents and two more climbs, and lots of great snow in between. 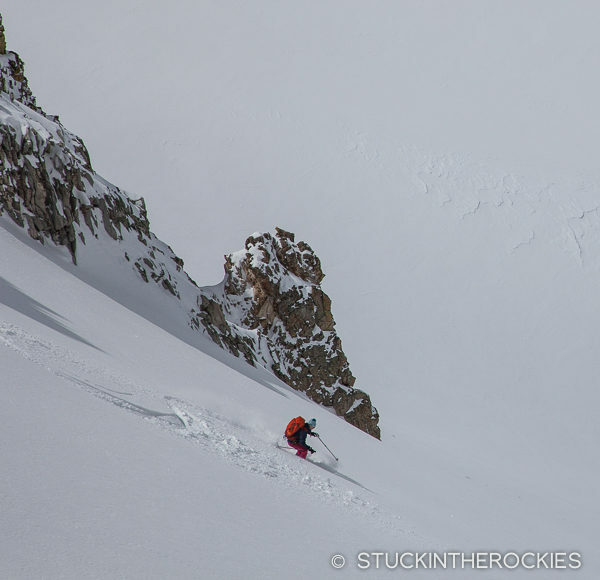 Dropping in from a small col that separates Taylor Basin and Cooper Creek. There are a lot of north facing aspects in this zone that hold good snow this time of year. 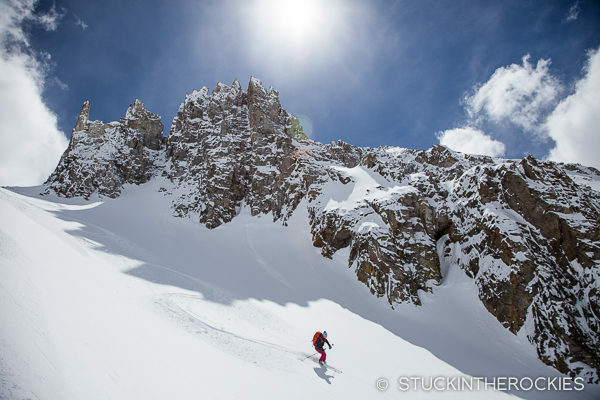 Christy skiing the third descent of the tour. And we took it all the way back down to the hut. We made it back to the hut by early afternoon. The guests staying at Lindley that night hadn’t yet arrived, so we had time to relax on the deck, reflect on the day, and eat some dinner leftovers. Then we casually made our way back to the trailhead down in Ashcroft, four miles away. 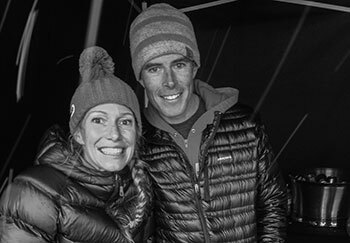 Braun Huts in April, one of our (many) favorite things. 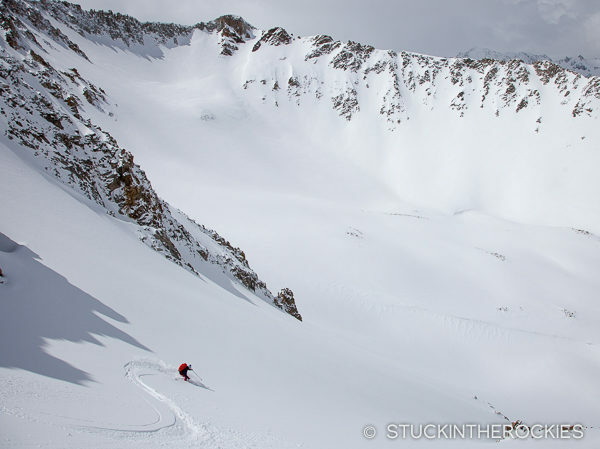 Fletcher Mountain – 13,951 ft.